PrestaShop content management system has been created for rapid deployment of online stores. Just like other similar systems, it includes integration of payment services, product catalog and initial search optimization tools. Nevertheless, PrestaShop has disadvantages typical for such CMS: slow operation caused by a large quantity of images. Certainly one cannot imagine an online store without bright product images. However, it is quite a challenge to optimize a large volume of image files manually. Image compression in PrestaShop can be automated. The OptiPic plugin is is a perfect tool for this purpose. It is capable of reducing image sizes by 50-70%. Plug-in for image compression in PrestaShop can be easily installed in a few clicks. After the pre-setting it is ready to operate. Image compression in PrestaShop with OptiPic is run in the background. The plugin processes available images and images that are uploaded to the website. Image compression plugin for PrestaShop will help reduce the webpage loading time, allowing users to find the necessary goods and purchase them more quickly. How can optimizing images for PrestaShop speed up a site? 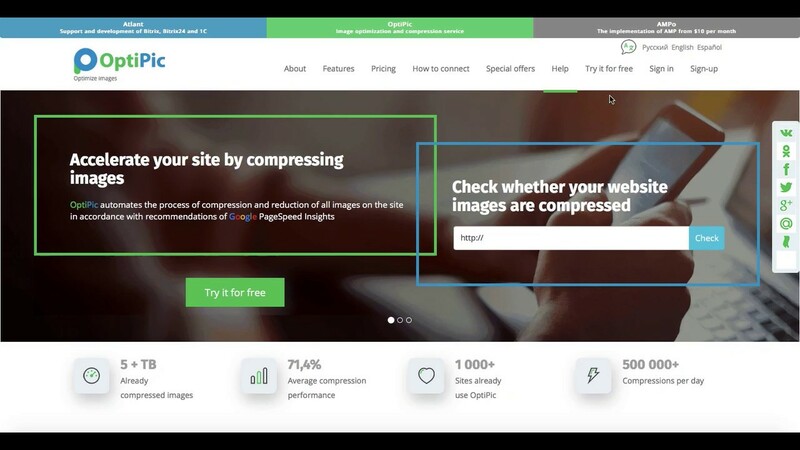 How to get started with OptiPic service for PrestaShop for image compression?